Did the FO just announce Pakistan as a state sponsor of terrorism? Criticising US policy is a routine part of a Foreign Office Spokesperson’s job. Even when US and Pakistan are in agreement, as with drones, it is important to keep up a facade of standing up to the unpopular global hegemon. Today, however, Foreign Office Spokesperson Tasnim Aslam either misspoke in a blunder of epic proportions, or announced to the world that Pakistan is a state sponsor of terrorism. Earlier this week, the United States government announced economic sanctions targeting funders of two jihadi militant groups: Lashkar-e-Taiba and Harkatul Mujahideen. Today, the Foreign Office responded by essentially announcing that Pakistan will not enforce the sanctions. 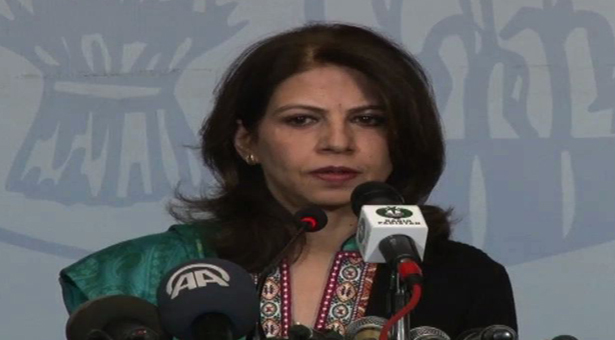 There is a procedure at the United Nations to declare any person or organisation a terrorist; however, the US’ decision to declare three Pakistani-based organisations [as terror groups] does not apply to Pakistan,” Foreign Office spokesperson Tasneem Aslam told reporters at the weekly media briefing in Islamabad. This is a frighteningly bizarre statement for a number of reasons. To begin with, Lashkar-e-Taiba was termed a terrorist group by the UN in 2010. Harkatul Mujahideen was termed a terrorist group by the UN in 2011. Does the Foreign Office not know this? Why are they talking about this procedure when it has already been applied? Most disturbingly, though, is the message that such a statement communicates both to terrorist groups and to the rest of the civilised world. In effect, the Foreign Office has just announced that Pakistan reserves the right to provide terrorist groups with economic sanctuary and to protect their funding. This can only result in two possible outcomes, both of them devastatingly bad for Pakistan. One, terrorist groups will flock to Pakistan. Two, Pakistan will become increasingly isolated not only from the US but from critical countries like China and Russia that are already suffering from jihadi terrorist attacks and will see the government as siding with their enemies. We may think that we can succeed while thumbing our nose at the US, but the Foreign Office’s statement today goes far beyond the usual pandering to anti-American elements. Whether intended or not, it will be heard as the government choosing to side with terrorists. And that is not something we can live with. This entry was posted in Blogs and tagged China, Foreign Office, Harkatul Mujahideen, Lashkar-e-Taiba, Russia, Tasnim Aslam, terrorism, us by Sidra Jafri. Bookmark the permalink. Pingback: Did the FO just announce Pakistan as a state sponsor of terrorism?